There are lots of good reasons to buy a new home, but arranging a mortgage can be more complicated. We take a look at the issues you need to be aware of so you’re in the know from the word go. In most cases, the process of applying for a mortgage is the same regardless of whether your home is newly built. However, there are some things you need to be aware of when arranging a mortgage to buy a new build property. Developers can often work to demanding timescales, and once you’ve put down a deposit you may have only 28 days to exchange. That can be a challenge for mortgage lenders, who may struggle to complete your application within that time frame. 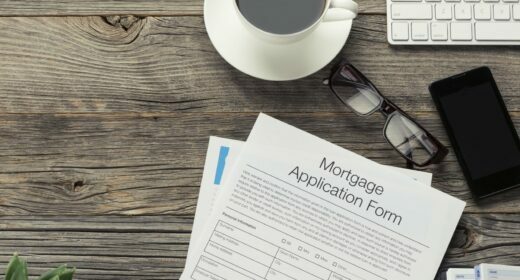 The best way to counter this is to prepare so that you increase your chances of making a successful mortgage application, and submit the application as soon as you can. Buying a new build off plan (before it’s built) shouldn’t present any problems in itself when getting a mortgage as most lenders are familiar with this scenario. There may however be an issue around how long your mortgage offer is valid for. It varies by lender but most are only valid for six months. In other words you have six months from mortgage application to complete on your home purchase. If as time goes on you think your new home isn’t going to be ready within that time you may be able to get the lender to extend the offer during the period, but in most cases your mortgage application will need to be re-assessed by starting your application all over again. Recognising that many new build projects can be subject to delays, some lenders have special new build mortgages, with a longer validity period that can be up to three months longer than their usual deadlines. The best thing to do is check with a mortgage broker as they will know the products which will remain valid for longer and will also be on hand should you need to move quickly to re-apply or find an alternative lender. Mortgage lenders are often a lot stricter on the amount they are willing to lend on the purchase of new-builds in order to protect themselves from the inevitable devaluation of the property in the early years. The loan-to-value ratio for new build mortgages is also often tiered, with lenders prepared to loan you less for a new build flat than a new build house. Nationwide, for example, will offer a maximum 75% LTV on new build flats (meaning you’ll have to find a 25% deposit) but up to 85% for new build houses (and leaving you to find a 15% deposit). But this differs according to lenders. This means that if you’re looking for a new build mortgage on a flat, you may need to be prepared to save up a bigger deposit than if you were buying a house. You could also consider the help to buy equity loan or see if you qualify for any shared ownership schemes. One way the government is helping buyers to purchase a new build is with the Help to Buy equity loan scheme. In essence, the government will lend you 20% of the new build home’s value (or 40% if you’re buying in London) and you don’t have to pay interest on that loan for five years. This allows buyers to secure new build mortgages with just a 5% deposit, borrowing the remaining amount from the lender. Since its launch in 2013, the government has provided Help to Buy equity loans for a total of 169,102 properties. Some property developers advertise sweeteners such as having your stamp duty or legal fees paid to set their development apart from others. While these offers are less common of late, they do still exist: a developer would much rather offer an incentive, to make the new build premium price more palatable to buyers, than reduce the purchase price overall. It’s worth noting that lenders will take account of any builder incentives such as paying legal fees, stamp duty or cashback when considering your mortgage. If the incentive is worth up to 5% of the value of the property, there should be no issue – but if they exceed this point, there could be issues. A lender could still agree to a mortgage, but they may knock the amount that surpasses the 5% point off the purchase price. This can have a significant impact on your LTV, impacting your mortgage rates. If you’re looking for a mortgage on a new build, it’s a good idea to approach a mortgage broker. They often have access to deals that you won’t be able to find yourself, and can be very helpful when it comes to arranging a new build mortgage. Furthermore, if you encounter issues such as the mortgage offer expiring before you complete, they’ll be able to help you get another offer secured. With thanks to David Hollingworth at our mortgage service partners London and Country for his advice.